Home » We See Miracles Around Us. You know those little paper balloons you used to see at the store to support Children’s Miracle Network? I know I’ve bought more than a few, because hey, helping sick kids is always a good cause! * Especially when it’s local. But I never really knew what Children’s Miracle Network did with all that money. So last week I found out. FYI: this post is sponsored by the awesome people at Noodles and Co who love to give back to the St. Louis community! 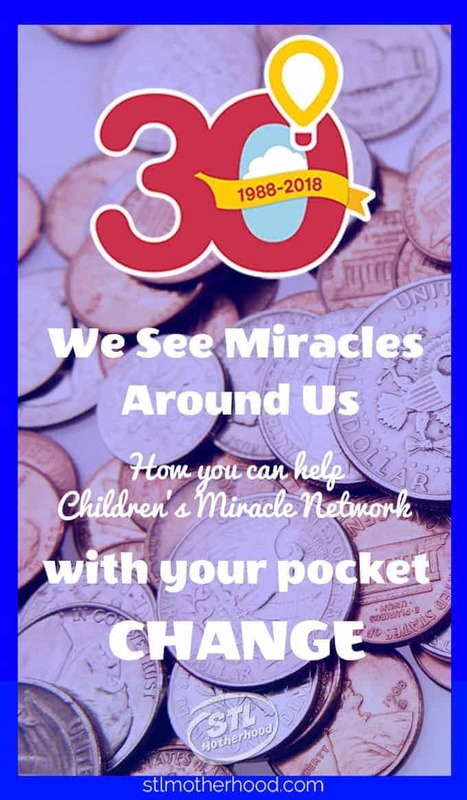 Meet Children’s Miracle Network Hospitals of Greater St. Louis! from CMN-STL on Vimeo. The big thing to remember about Children’s Miracle Network is they give their donations without restrictions. Some children’s charities are dedicated to curing cancer or granting wishes. But CMN money can fill a variety of needs. It built a cool “stay and play” room for siblings so parents don’t need to entertain their healthy kid while attending to the needs of a sick child or a child with a doctor’s appointment. They built a roof top garden for kids to get outside without leaving the hospital building. They support a school room at the hospital so kids of ANY age won’t fall behind on school work while having an extended stay. They help the Healthy Kids Express, a traveling health care van that visits local kids for free. 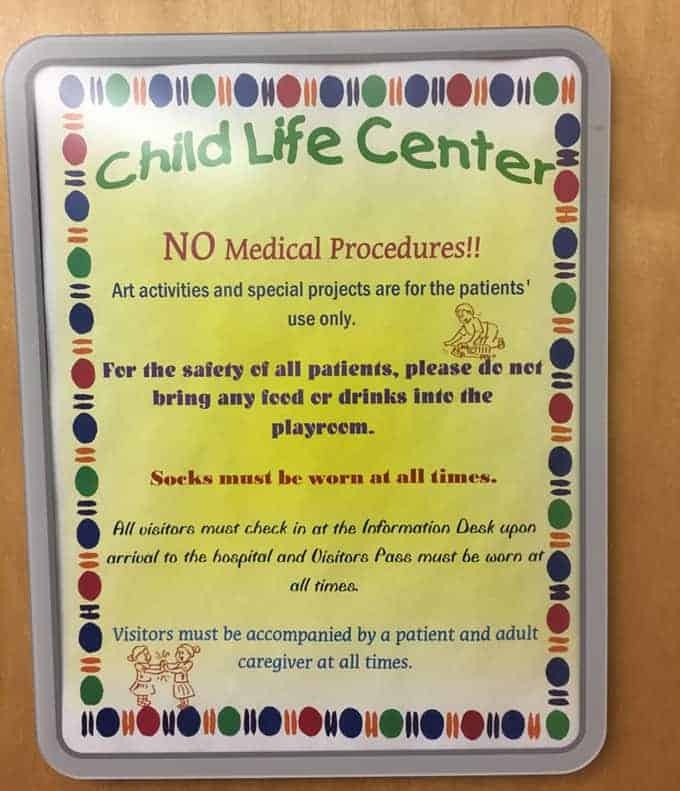 They fund Child Services, a department dedicated to making hospital visits less stressful. Isn’t that great? So now I know you want to help! 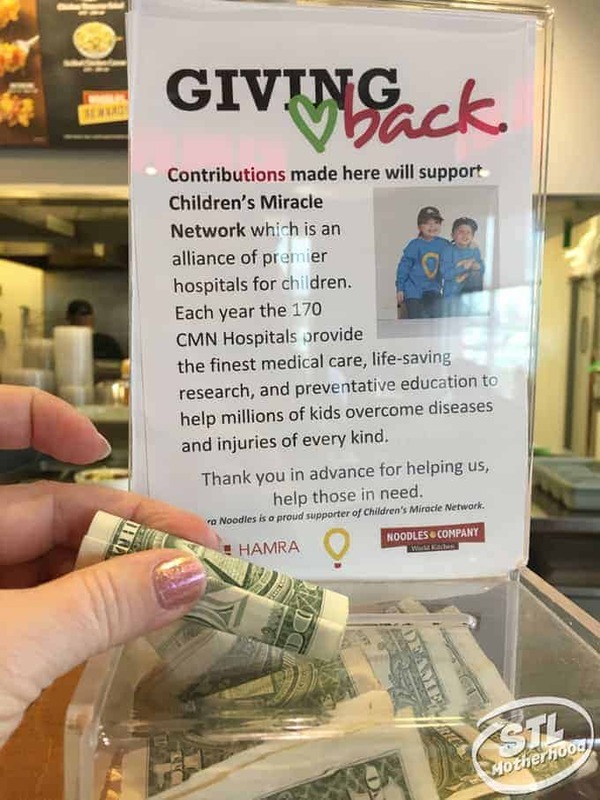 Children’s Miracle Network has lots of local sponsors who collect donations from their customers–and my favorite is Noodles and Co! You can donate at the register or simply by dropping cash in the collection box. Easy peasy! Just think, if we all give a little, we all give a lot! All proceeds go to LOCAL hospitals! So in St. Louis your donations will be divided between SSM Health Cardinal Glennon Children’s Hospital and St. Louis Children’s Hospital. 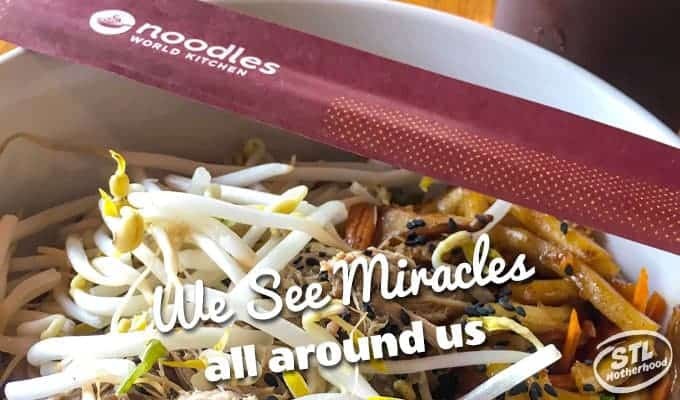 Noodles and Co has restaurants around the country, so if you’re in Kansas or California your donations will go to help kids in your neighborhoods. *Fun fact: Children’s Miracle Network no longer does the paper balloon campaign so that more money can go directly to helping kids, instead of decorating windows. Isn’t that cool?